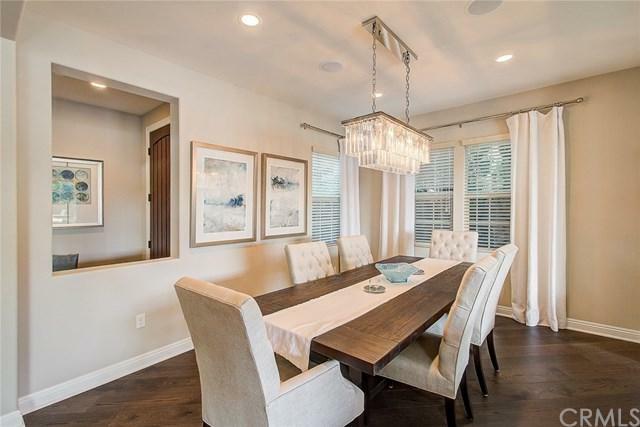 Gorgeous newer 2015 build open-floorplan in the exclusive Carillon neighborhood of Talega. This stunning residence boasts with high-end upgrades, panoramic hills and ocean views, and the luxury of having open space to the West side of the home providing privacy and natural light. 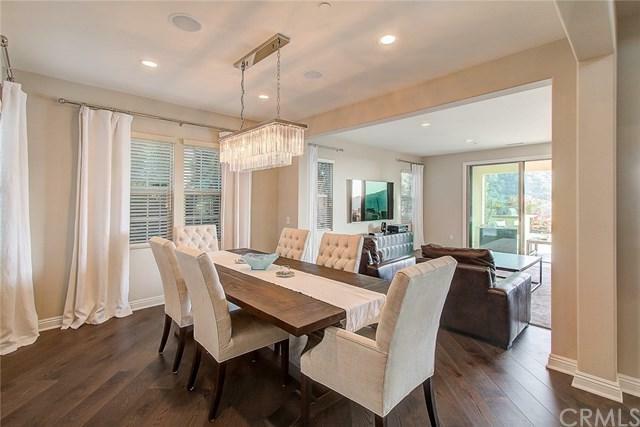 Entering the home you will appreciate the openness of this modern floorplan with high ceilings, wood floors and designer upgrades. The upgraded kitchen features Kitchen-Aid appliances with built-in refrigerator, granite counterto Gorgeous newer 2015 build open-floorplan in the exclusive Carillon neighborhood of Talega. 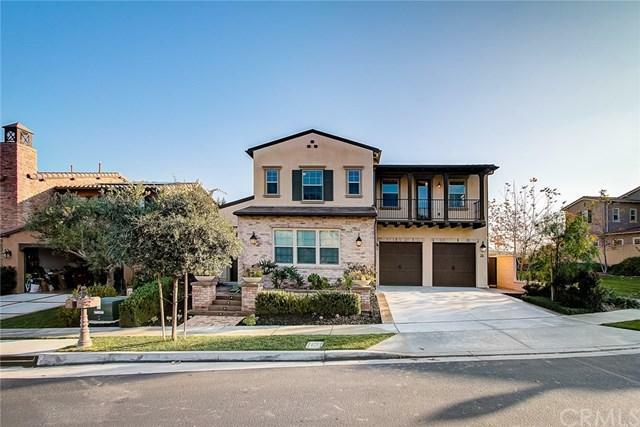 This stunning residence boasts with high-end upgrades, panoramic hills and ocean views, and the luxury of having open space to the West side of the home providing privacy and natural light. Entering the home you will appreciate the openness of this modern floorplan with high ceilings, wood floors and designer upgrades. The upgraded kitchen features Kitchen-Aid appliances with built-in refrigerator, granite countertops and full backsplash. The great-room opens to the formal dining room to one side and flows seamlessly through the stacking glass wall doors to the California room with gas fireplace. The professionally designed backyard features outdoor kitchen with BBQ, salt-water spa and stunning views. A main floor guest room with en-suite bath, convenient mud-room with built-in desk off of the garage with epoxy flooring completes the first level. The master suite has a large private balcony, his & her closets and custom window coverings. The spa-like master bath features plank tile floors, stone counter tops, walk-in shower and soaking tub. The secondary bedrooms are a generous size and share the Jack & Jill bathroom. A convenient office with an en-suite bath, sizable loft and balcony complete the second level. 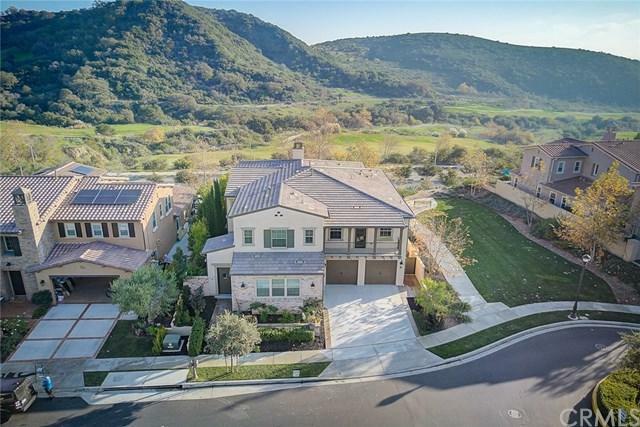 Talega residents enjoy 19 miles of trails, 8 community parks, 4 pools, a golf course, Talega Village shopping center and the Vista Hermosa Aquatic Sports Park.